Customer’s comments do matter a lot, and in the last few years, due to online rating and search engines, these platforms has shown us the importance of customer feedback or review. Reviews are similar to word of mouth publicity, reviews from customers can influence the decision making of potential customers. A positive review always establishes trust, these days, a lot of people decide on the basis of online reviews. These reviews from customers are a personal opinion or recommendation. Potential customers may select your company or brand over your competitors. Reviews can be collected from various sources from the web. It is Google and Facebook that can offer a high visibility for your brand. Google and Facebook appear a lot on search engines; hence, you should look for reviews from these two sources. It is important to collect reviews; otherwise, it will affect your business. Since, most people trust the reviews they see online, this makes it crucial for you to, either defeat or measure up with your competitors. Customers should be able to find reviews instantaneously on search engine result. Reviews can improve the sales and profit of your business, with not much cost. Getting a flow of good reviews or feedback, will make sure your brand does well and will also enhance the visibility of your brand. You can either send a mail to your customer or ask your customer directly, asking your customer directly works better. This can be done over a phone call or with the help of a personalized mail. Poor or bad reviews are unavoidable, you always respond to such reviews, and never ignore them. You should amicably resolve the issue, because a bad or poor review can lead to a negative impact on your business. It is vital to respond to all reviews, whether positive or poor. Managing reviews is not an easy task. It is crucial to reduce bad reviews and promote more positive reviews, which in turn will boost your business. 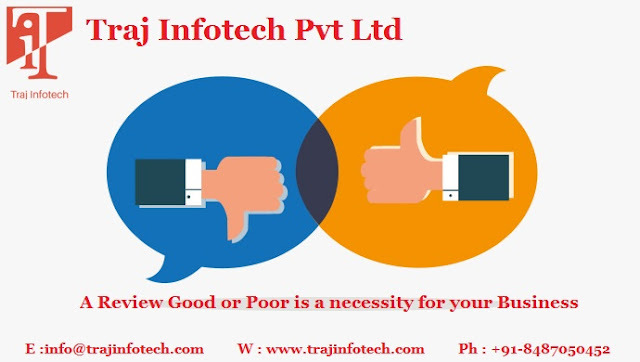 Traj Infotech Pvt Ltd is the Best IT Service Provider in Ahmedabad,Gujarat. 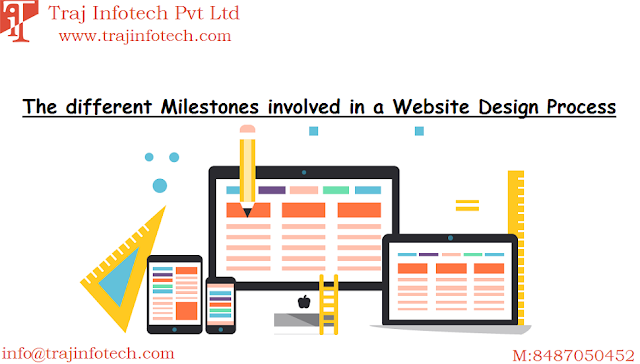 We offer IT Services like Website Designing & Development, Application Development, Digital Marketing, SEO Service, Content writing, Graphic Designing, Data Updation.